Why I started selling Avon! I was staring blankly at a computer screen filling out application after application. My fiancé was down on his luck from a work injury, and ended up losing his car that he had only just had for a month or so because he didn’t have any money to make the car payments; since he had never really been given worker’s compensation. (A whole other story for another time.) We were needing money… like yesterday and I was having anxiety issues from all the worrying of how we were going to keep our heads above water. You have to love those down moments of life. They really test out your strength and motivation to make it through. 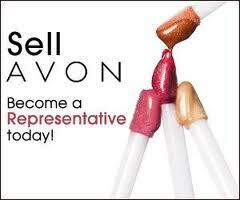 I came across an Ad for Avon, stating that they were looking for new sales representatives. I will be honest, I was skeptical at first. Income like that is based off of commission and I was looking for something steady…reliable. I wasn’t sure Avon would be a good fit. However, I did some thinking. I could work Avon around my life. I could distribute brochures in my free time, I could take books with me out on errands. Plus a discount on makeup sounded feasible. With some coaxing from my fiancé, I put in a request to join. That is where I met my lovely upline who offered great help in the beginning. I met up with her upline who gave me extra supplies to get started while I waited on my kit. That feeling of Christmas overwhelmed my soul as I tore open the Avon box filled with books, samples, and other goodies. I immediately dove right into Avon. I passed out brochures to family members and tailgated with my upline, her upline, and my DSM on occasions. My first order was around $200. That put a real hitch in my giddy-up and I knew I could get more from that. That earnings from $200 was about $60. That was enough to cover food to keep us alive for the week! As time went on, I began building more. I even started my first team and made Unit Leader within the incentive period too! That was an extra $500!! That covered some bills for sure! I started to realize you can really do well with this Avon thing if you put forth the effort…so that is what I did! Ever since then I have been constantly building my Avon business. Has the journey been easy? No. Have I wanted to quit? At least 1,000 times, but did I? No. I have stuck with it, and the benefits have been very profitable. What’s your story? Are you needing something to bring in extra income? Do what I did. Take a risk. Give it a shot. For only $15 to become an Avon rep, what have you got to lose? Pay the $15 for your starter kit, and you’re an Avon Rep!